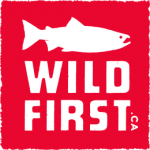 The Sport Fishing Institute of BC is a named supporter of Wild First, an organization dedicated to helping ensure the survival and restoration of wild salmon. Please see the Wild First campaign website for more information and please consider adding your name and voice in support. There is an increasing volume of science on the concerns around open net farming. While we will post anticipated papers as they become available, the following is a link to an informative document compiled and produced by Tony Allard, Wild Salmon Forever and Good Hope Cannery, A Case for Caution. The following news pieces on findings as detailed in the CTV news story and footage by Tavish Campbell in this clip. Both clips provide graphic visuals of risks inherent in processing farmed fish and the open net pen farms themselves. More than ever DFO must be urged to, at the very least, adopt the precautionary principle when it comes to assessing fish farm and related activities in open waters. The precautionary principle, which should halt any questionable or potentially damaging practices, is employed for different fisheries and in many situations when DFO makes management decisions. However, and inexplicably in this case, where there is so much at stake and evidence to suggest that harm is very likely occurring due to open net pen practices, the principle is ignored. Why is that? Wild salmon stocks and juvenile salmon must be protected. Whether it be for the longevity and sustainability of the species or to help in the recovery of Southern Resident Killer Whales, strong and healthy populations of salmon in our oceans must be our collective objective. In light of evidence such as provided in the story above and the escape of several hundred thousand Atlantic Salmon from a net pen in Washington State waters in late summer of 2017, the level of concern among anglers, those in the environmental community and First Nations about the federal government’s plans to maintain or even allow the establishment of new salmon farms in BC is building and evidence of serious consequences to wild salmon stocks continues to mount. We’ve discussed this over the years and have encouraged participation in petitions urging the province to block plans and the federal government to acknowledge and address the issues. The SFI has traditionally focused its advocacy efforts on issues regarding fisheries access, allocation, licensing and science. While our members oppose expanded net-pen salmon farming, we’ve made a decision to follow the work of the many groups who are primarily focused on salmon farming and support and endorse rather than duplicate efforts. The SFI board of directors adopted a formal policy in 2003, urging the federal and provincial governments to adopt the precautionary principle and ensure that they were not licensing fish farming activities that could impact wild fish stocks. We continue to communicate this view to federal and provincial politicians and senior civil servants in writing and during our frequent meetings with them. We made a formal presentation to the provincial legislature’s special committee reviewing finfish aquaculture and urged the committee to establish a clear scientific consensus on the issue and provide recreational anglers with assurances that wild stocks were not being placed at risk by fish farming activities. We’ve supported the development of closed containment technology aimed at eliminating the threat of disease and/or lice transfer between farmed and wild fish stocks. While there are some challenges, financial and practical, with closed containment, evidence and experience makes clear that it is the way to sustainably farm salmon that poses the least threat to wild salmon stocks and the environment. Our interest is to see decisions for expansion or continued operation of fish farms to be made on careful review of all of the facts and science available. There are studies that shed definitive information on the risks, threats, and impacts of open net pen fish farming in coastal environments around the world and along the BC coast. The federal government’s failure to act to address public concerns about the impacts of salmon farming on wild stocks is spurring a call to action among a variety of BC groups. While activism on salmon farming has largely been limited to ENGOs and First Nations, we would also like reiterate the issue, in voicing concern about the government’s actions on the subject. By moving to act on some of the key recommendations of the Cohen Commission, government can have a meaningful impact on wild salmon stocks and demonstrate leadership on a mainstream environmental/conservation issue in British Columbia. As opportunity to voice our concerns about open-net-pen salmon farming appear we will keep you apprised. We plan to continue with the approach that both as an organization, and as individuals who care passionately about sport fishing and our marine resources, we will add our voices to those calling for the protection of our wild salmon stocks.